The reason why many people use car transport services is their convenience. While you are busy with work or relocation or anything else, your car is being shipped to a distant location of your choice. It means you have more time and less stress to deal with. The door- to- door Auto Transport takes it to the next level. Imagine if you don’t even have to drive your vehicle to any terminal because the carrier will pick it up right from your place. Then your car will arrive at the location of your choice, and it is that easy! That is why Door-to-door Auto Shipping is such a popular Car Transport service. Denver Car Shipping provides Door to door Car Transport as a standard way of auto shipping. We always ship cars door-to-door, striving to provide the best experience to our customers. We value your time and know that you are looking for convenient Denver Auto Transport. We will deliver your car safely and in a timely manner. 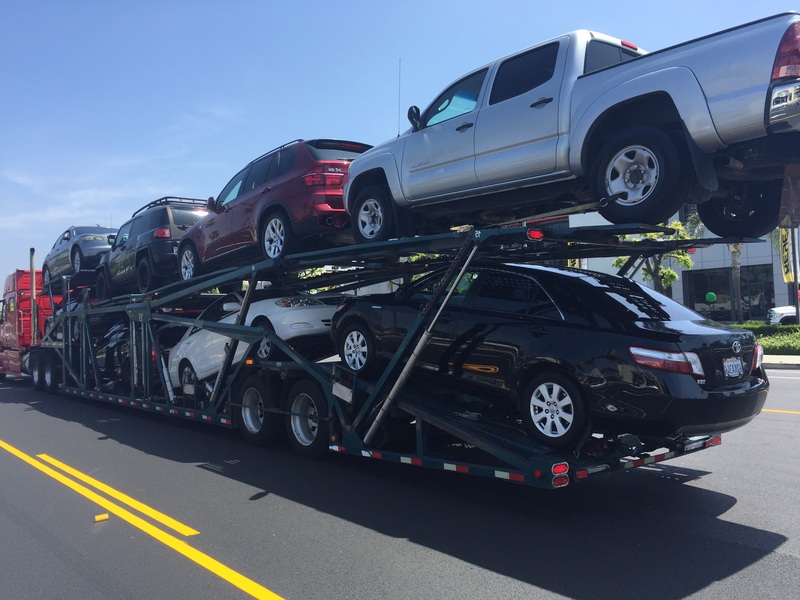 Our Door-to-door Denver Car Transport is available nationwide. However, there are some areas where Door to door Auto Transport is not possible. For instance, our trucks will not be able to get in some narrow residential streets. In that case, you still have nothing to worry about. We will discuss a nearby location with you, like a supermarket parking lot close to your place, and we will do pick-up or drop-off there. We also have terminals in all major cities. You can prefer this option if you want a lower price for your Denver Auto Shipping. We’ll always provide Denver Car Transport that works best for you! Don’t wait to contact us for a free Denver Auto Transport quote. Denver Car Shipping will be happy to transport your vehicle for you!